Badung - The 19th International Conference in Asia - International Union of Materials Research Societies (ICA-IUMRS) 2018 "Innovation of Advanced Materials for Green Technology and Sustainable", Wednesday (10/31) at The Anvaya Beach Resort Kuta Bali. This activity was held in collaboration with the President of IUMRS for Indonesia, University of Indonesia (UI) and Udayana University (Unud) with co-hosts of the Faculty of Engineering Unud. 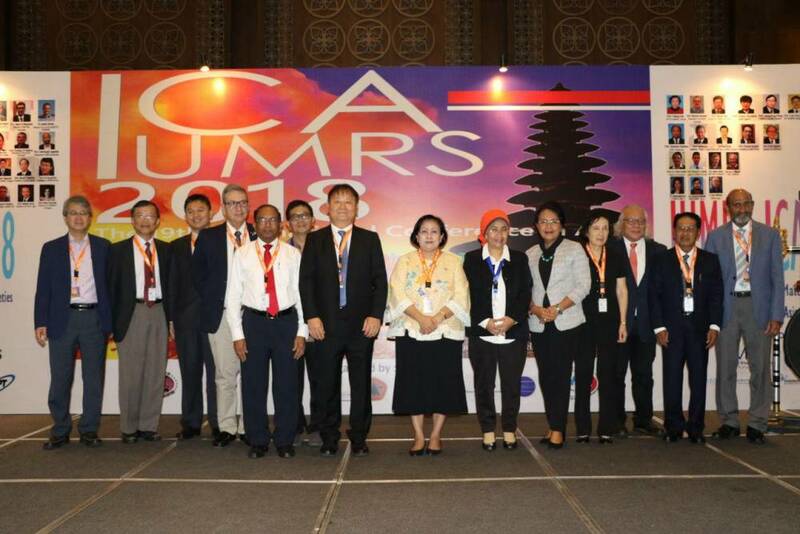 ICA - IUMRS 2018 is a continuation of the previous conference which was the largest meeting for famous scientists and engineers in Asia and this time was attended by around 200 participants and 40 speakers from 16 countries. The conference was opened by the Chair of the Presidential Advisory Council, Prof. Dr. Sri Adiningsih was coupled with the signing of the MoU between the Chancellor of Unud and the President of the IUMRS and the signing of the MoU between several institutions present there. Rector of Unud, Prof. Dr. dr. A.A Raka Sudewi, Sp.S (K) said that Udayana University was very intense and open to collaborating with all academic institutions, research and professionals from all over the world. "We aim to collaborate in various fields to improve the quality of our higher education. We began to step by strengthening innovation and downstream research to accelerate Udayana University to become World Class University. This collaboration conference is to strengthen the research network and is a useful interaction between academics, researchers and professionals from various countries. Therefore, as Rector, I fully support this important activity, "said the Rector of Unud. The Chancellor also hopes that this Conference will create networks and international collaboration and open new ideas in maintaining world prosperity in all aspects, especially for Udayana University. In this conference there were about 10 papers which were representatives of the Udayana University academic community.